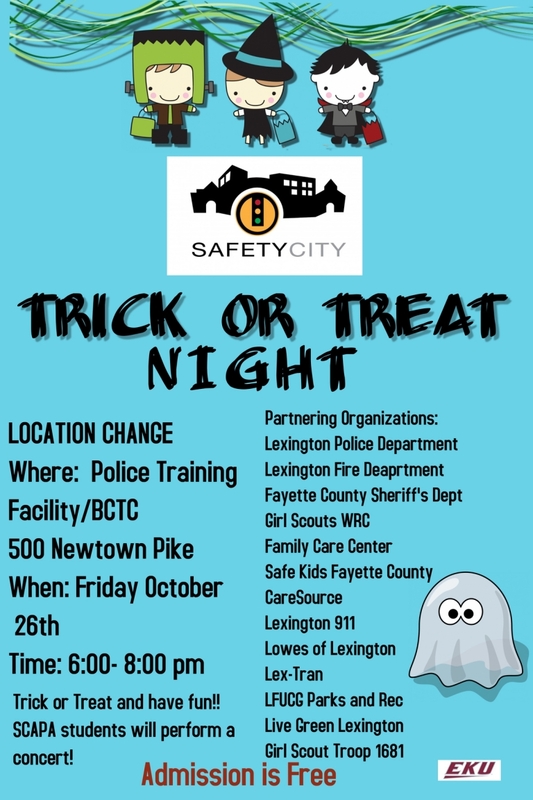 Safety City is a no-cost safety education program designed for elementary age children in second grade. Through a partnership with Eastern Kentucky University’s College of Justice and Safety and the Lexington Division of Police, instructors provide information on a range of topics which run the spectrum of safety concerns. These currently include traffic, pedestrian, bicycle, seatbelt, and firearm safety. 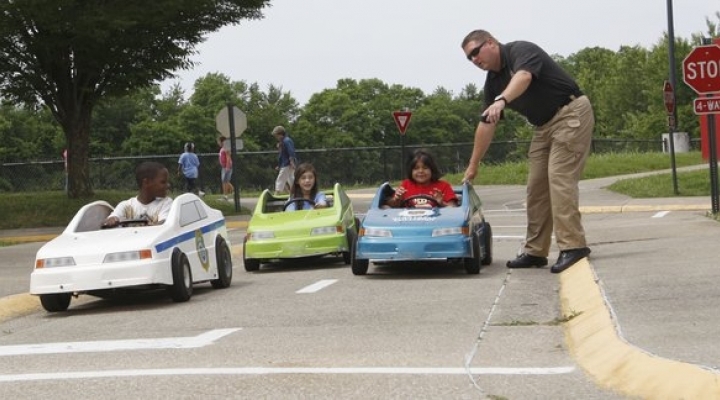 Instruction is given in an age appropriate manner and provides children with the information they need to be safer in their community. 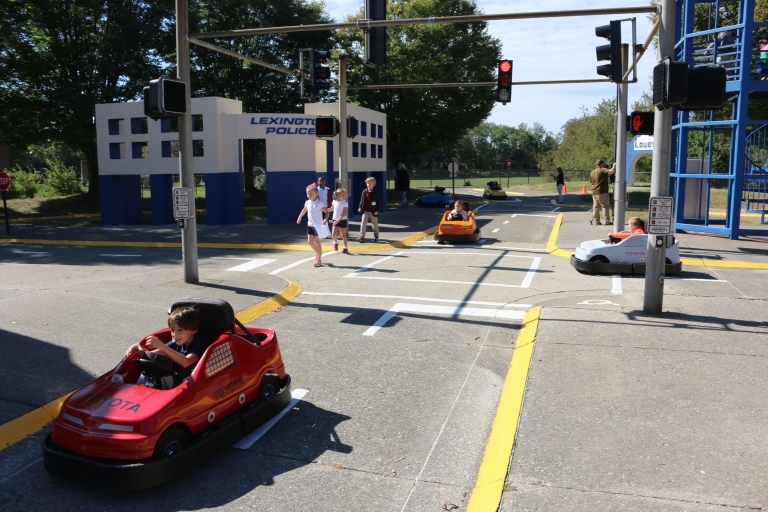 Safety City features a student-sized roadway with traffic signals that students utilize while driving our special cars. Miniature buildings replicating the community make up the “city” in Safety City—complete with a police station, restaurant, and fire station.